Classic, irreverent and timeless, BURBERRY My BURBERRY Eau de Parfum encapsulates the magnetism of British style. This signature fragrance is a tribute to London and its stylish inhabitants, dressed in iconic BURBERRY trenches. The effervescent city is an endless source of inspiration for My BURBERRY, influencing both the luscious floral juice and its beautiful fragrance bottle: its horn cap reminiscent of a button, and the woven bow around its neck crafted from the same material as a trench. Composed by Francis Kurkdjian, the My BURBERRY juice pays homage to the irreverent vibrancy of urban gardens, mini oases found tucked away on London rooftops. These retreats burst to life with wildflowers and herbs, exuding the lush wetness of freshly fallen rain drops on velveteen petals. 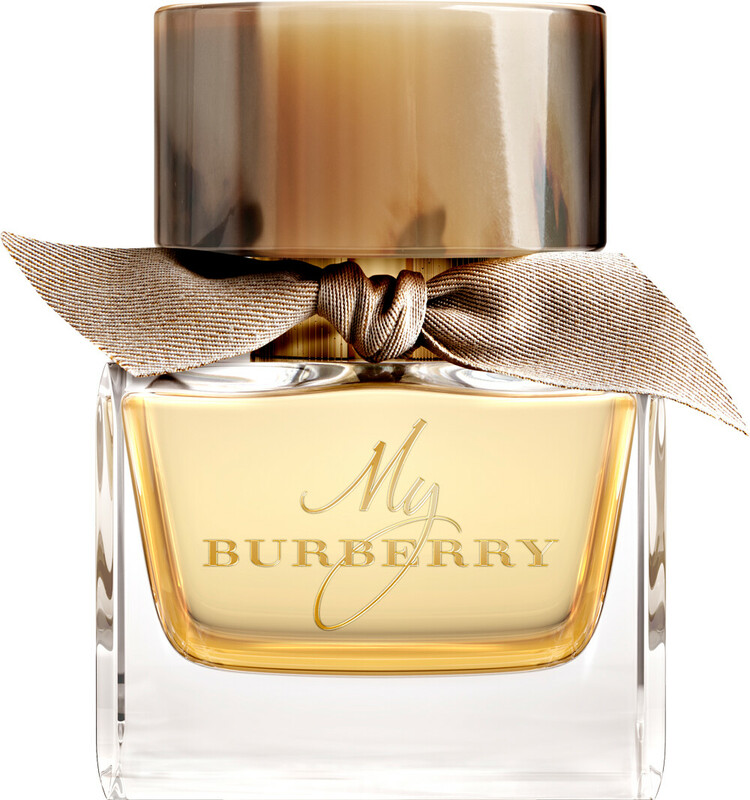 My BURBERRY opens with a delicate, fresh duo of pretty sweet pea and crisp bergamot, reminiscent of a linen trench. In the heart, the unusual charm of geranium leaves exude an almost minty freshness, before a touch of golden quince and freesia brush the skin with tenderness. A base of subtly spicy rose is deepened with patchouli, underlining My BURBERRY with a most intriguing trail.